Several weeks ago, I randomly tweeted a photo of my weekend mani to Glamour Magazine, just because. 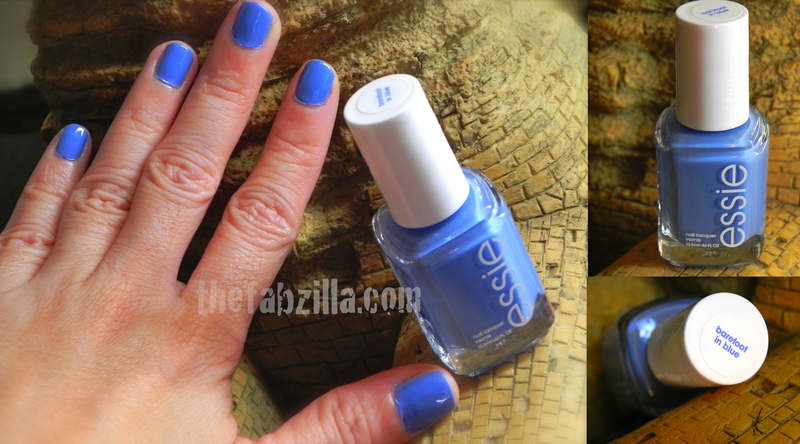 Long story short, I won this limited edition Essie Barefoot in Blue (created for TOM’s One Day Without Shoes Event). The hue is more like cornflower which was my favorite Crayola moment color back in grade school, hahaha! The consistency is quite creamy and with three coats, I got the opaque finish I wanted. Overall, this is one fabulous Essie creation. Thing is, it’s limited edition, geez!